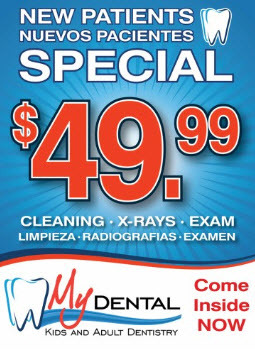 Specials | Revere, Massachusetts | My Dental ? $49 New Patient Special. The usual cost for this comprehensive exam is $250. We offer new patients a comprehensive oral exam which includes digital X-rays and we will create a customized treatment plan personalized to your needs. Click here to request an appointment at your nearest location.